Dice tomatoes, chop onions, and mince garlic. Microwave whole lime for 60s and massage by rolling with palm for 30s. Cut lime and squeeze out 1 tbsp of juice. Rinse cilantro in strainer and finely chop 2 tbsp. 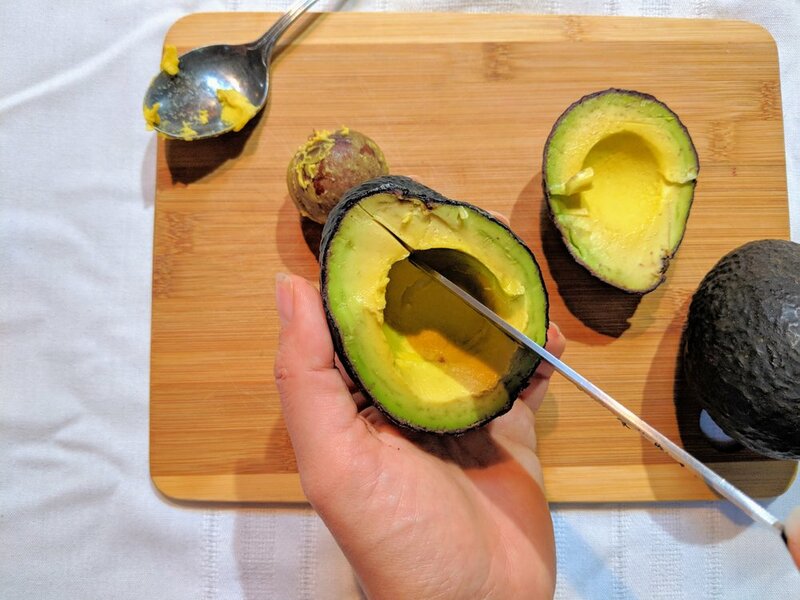 Cut avocados in half vertically and score each avocado. Scoop out the flesh and dump into serving bowl. Use a potato masher to mash avocados to desired consistency. Mix in tomatoes, onion, garlic, cilantro, and lime juice. Sprinkle in spices and mix with a fork. Garnish with cilantro if desired.